Do we have to choose between bigger or better? You are here: Home / Acts / Do we have to choose between bigger or better? If you’re like most people, you are right now trying to find the perfect Christmas gift. It’s not Christmas giving season yet, but that season is coming soon. One of the challenges of finding the perfect Christmas gift is trying to match it with the personality of the person who’s going to receive the gift. Some people love the anticipation of seeing a big box, brightly wrapped in the living room before Christmas Eve. Others prefer a small, simple box that contains an awesome gift. 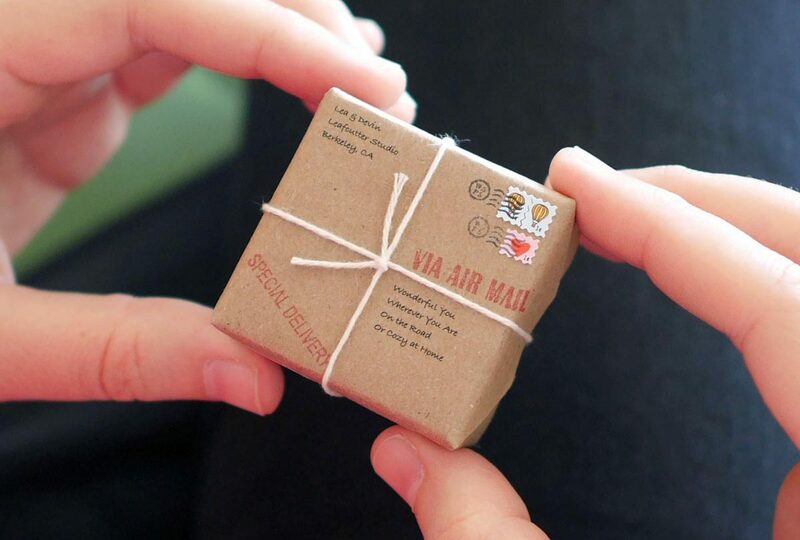 Anyone who’s tried to find the perfect gift knows there can sometimes be a struggle between large packages and the perfect gift, even though it’s small in size. Almost every aspect of life sometimes feels like being forced to choose between something that’s big or something that some better. Check out the packaging in the supermarket; they will sometimes sell you on bigger is always better. Look at the packaging on a children’s toy, and they try to convince you that a new and improved item is always the better purchase. I want you to pause and answer the question for just a second: Does bigger always mean better? Or put another way, is it possible to grow better without growing bigger? Some people prefer bigger; others prefer new and improved. This blog is set to answer the question: Can you grow something bigger and better at the same time? If you’ve been around the block a time or two, you know already that bigger doesn’t always mean better. Here are a couple of examples – A bigger SUV doesn’t always make it a better vehicle. A bigger lineman on a football team doesn’t mean that he will be a better player. ‘Still don’t believe me? A bigger waist line rarely makes you look better. Don’t believe the Wall Street hype; bigger doesn’t always equal better. This is also true when it refers to churches. Some people attend a church simply because it’s big and it offers a lot of programs. Big churches are awesome. Some programs are highly valuable. But bigger churches don’t always mean better churches. In fact, sometimes a bigger church can actually be worse for you, especially if you’re trying to run from a personal problem or trying to hide a character defect or a sin issue. It’s really easy to hide in a big church. However, it can be dangerous to your soul! If bigger churches are not always better churches, does that mean small churches are better? No. Bigger churches aren’t always better, nor are smaller churches always better at ministering to their members. Why should a church attempt to get bigger if bigger doesn’t always mean better? Well, the answer is that bigger doesn’t preclude you from getting better. However, bigger doesn’t equal better inherently. What I’m trying to say is that you can get better as a church without getting bigger as a church. You can also get bigger as a church without getting better as a church. The goal, then, is to find a church that is both big enough in size that it offers the programs you’re looking for while at the same time being intimate enough to provide some biblical community and accountability. Both can be done at the same time. It’s just very rare in most churches. The way to achieve bigger and better at the same time is to strive for growth and intimacy at the same time. If a church is going to grow, it is most healthy when it grows through outreach. This means reaching people who don’t know Jesus and inviting them into the church. Now that the church starts to grow in the number of people who are new to the faith, the church also has the responsibility of helping these people grow better in Christian faith. This is where bigger and better can both happen at the same time. You don’t have to sacrifice intimacy and accountability for growth in a church. However, don’t be willing to sacrifice one in exchange for the other. You can find both. Don’t settle for a church just because it’s large. Don’t settle for a church that offers accountability but doesn’t meet the basic needs of your family. Look for bigger and better at the same time. If you want an example of what this looks like, look no further than Acts 2:41-47. In this passage, God caused his church to explode in size overnight. At the same time, in this passage you have people meeting together, loving on one another, being intimate with one another. This beautiful passage from the Bible demonstrates what bigger and better looks like in the church. I long for bigger and better in every church that I visit. I hope you long for Acts 2:41-47 growth and fellowship also.